If you have taken or are currently taking the prescription drug Actos® for diabetes, you should know that you may be at an increased risk of developing bladder cancer. Bladder cancer develops when a malignant tumor develops in the bladder that chokes out the oxygen and nutrients of surrounding tissue. Although bladder cancer is already a specific kind of cancer, it can be broken down even further into types and degrees based on factors such as the stage of the tumor and its location. Since the bladder wall has several layers, bladder cancer is classified by how deep the cancer has penetrated into the layers. Bladder cancer is also classified by grade, which involves the degree of the tumor's abnormality. Unfortunately, bladder cancer has a reoccurrence rate that is higher than most other types of cancer (50-80%). These symptoms do not necessarily guarantee that you have bladder cancer, but they can be good indicators. Visit a medical professional for an accurate diagnosis of your symptoms. Even if you are not displaying all the symptoms of bladder cancer, it may be beneficial to visit your doctor in order to obtain a more thorough examination. Sometimes patients develop bladder cancer with little to no symptoms to begin with, so it is always better to get a professional's opinion. If you find out that you have developed bladder cancer as a result of taking the prescription drug Actos®, then you are entitled to a claim and should seek the help of a personal injury attorney immediately. 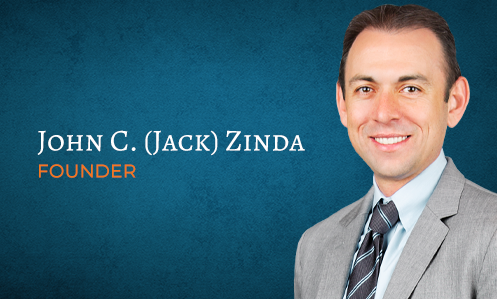 At Zinda Law Group, we have experience in dealing with those who have suffered from the negative side effects of Actos® and can help you too. If you got a confirmation from your doctor that you developed bladder cancer, you know that this diagnosis changes your life. You are now left to face medical expenses and lost wages, among other things. In order to gain compensation for your injuries and losses you need to contact our firm. We can help you fight against the pharmaceutical company so that your illness does not go unaccounted for. Many people are not aware of the more serious side effects that could plague them after their use of this prescription drug because they are not properly warned. If you were one of those people, let our firm fight for you.